Home Blog 2018 October 01 Is Your Child Vaping? At first, it sounded like a very good idea; a smokeless cigarette that could help adult smokers wean themselves from deadly nicotine and combustible carcinogens. Then, imitating Joe Camel of years past, five major e-cigarette manufacturers quickly figured out a way to market to children, using flavors like ice cream, banana pudding and fruit cereal. As a result, the amount of e-cigarette users in high school grew from just 1.5% in 2011 to an astonishing 16% by 2015. 81% of vapers credited the flavor assortment, or “chasing flavors”, as the reason they began vaping. 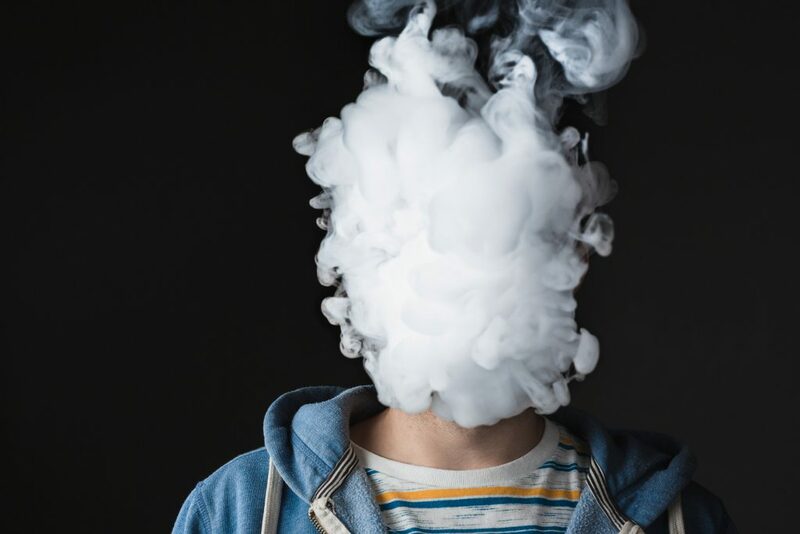 Now, the FDA has recognized the vaping addiction epidemic in teens and middle school children and has called for the industry to create a plan to restrict teen usage or face huge revenue losses as their products will be pulled from the shelves. The FDA’s order is a perfect prompt to discuss vaping with your children and teens. While touted as “safer” than cigarettes because they burn chemicals at a lower temperature, e-cigarettes are still tubes of poisons. The most prevalent chemical, nicotine, is dangerously addictive – more addictive than cocaine or heroin. Nicotine produces a “high” as it causes the body to produce dopamine, the “feel good” hormone. Unfortunately, the body quickly builds a tolerance to nicotine, so the user must intake larger and larger amounts of vapor to feel this “high”. E-cigarettes also contain other poisons and cancer-causing substances such as formaldehyde and acrolein. What do nicotine and other toxins do to my child’s body? When your child vapes, studies show the chances they’ll turn into a tobacco smoker increase dramatically. There is also an unsettling uptick in underage marijuana usage, as the drug can be vaped with flavors like bubble gum. Studies show that the earlier a teen or child tries marijuana, the more likely they will have develop drug use problems. What can I do if my child is already vaping? Don’t wait to get your child help. Here at Alzein Pediatrics, we recommend immediate intervention and cessation therapy. Depending upon your child’s age, health and strength of addiction, we may prescribe skin patches, oral medications or behavioral therapy to heal your child’s habit. Call 708-424-7600 or click here to make an appointment with any of our providers. We’ll explain the dangers of vaping and nicotine thoroughly to your child and to you and create a cessation plan that will work for your family.